Here’s an essay in The New York Times about a recent tailings dam collapse in Brazil, and the risks posed by tailings dams in general. It’s terrifying. A question we’re grappling with: how to equip communities affected by mining (and other industrial projects) with critical technical information about the risks that those operations pose? How to do so in a way that is empowering and connected to the pursuit of redress, rather than overwhelming? Our team has drafted some materials on impacts and potential mitigation measures for specific forms of mining and large-scale agriculture… if you have experience in this area we’d love to hear what’s worked well. Glad to hear Namati is working on this. The news regarding dam disasters in the past 6 months (in Brazil, Laos, and Myanmar come to mind) has indeed been quite troubling. the main thing that stands out to me is: use local reference points to explain project impacts/technology as much as possible. For example, rather than simply “the water flow will now be 80 cubic meters/second,” in my experience it is more accessible and empowering if you can relate it back to the last flood in recent memory of the community, or where on the land water goes in wet season and compare it to that. Or, when talking about size (height, width, etc) relate to a known landmark in the area. As a small anecdote—recently when some government officials visited our project area and asked during a community consultation “do you know how many meters the water will rise?” one man answered “no I don’t know that, but I know that it will go up to that mango tree over there.” While we had shared both pieces of information during consultations, it was the local reference point which “clicked” and I think much more meaningful and helpful in terms of him understanding and forming an opinion about the project, its impacts, etc. I realize this type of approach is hard to capture in a general document/guidance note for communities, as it depends on localization and project-specific technical understanding, but hopefully it might be helpful for NGO/CSO actors using such a guidance note in their work with communities. We have almost about 200 large dams in Myanmar. Most of them were built between 1990 and 2000 to produce hydro electric power and promote agriculture. While more dams and mining projects are coming, the potentials of resuming the construction of Myitsone dam is a headline issue among the people of Myanmar. But not just this big one, across country, people are also concern about the several existing dams. 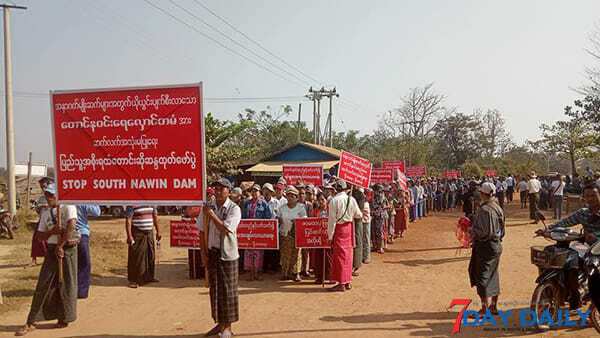 For example in Bago region, the people living near the South Nawin Dam is feeling worry as it appear the sign of breaking down. People felt unsafe as they have tiny information about the disaster risk reduction plans. Several of environmental experts and organizations, are talking about these issues. There are movements and campaign actions on these issues, but still no significant handful simple community guides seen in Myanmar. This is a really interesting - and crucial - question! I love the suggestion about local reference points from @caitlinpierce! I imagine similar questions will also come up as more countries move towards digital identity systems. Public discussions about “data privacy” risks and safeguards can only go so far if people aren’t equipped with some understanding about how a proposed system works - where the data is stored, who has access, encryption methods, whether raw information will be available vs. a simple yes/no answer that can verify a person’s identity at a point of service. That’s a very different type of technical information - but maybe similar methods could work for empowerment efforts in both sectors! I look forward to learning more about what has worked well in sharing technical information about risks of industrial projects. Great discussion, of course, the first thing that comes to mind is flooding caused by overflowing dams. The community I work with live downstream of Kenya’s hydroelectric dams. In the event of heavy rains (this time last year is a great example) the dams aren’t able to hold the water they end up collecting. In order to relieve the pressure on them, they willfully release the water down the river. Garissa, sitting right on the Tana river, is hardest hit by this decision. Farms along the river have suffered terrible damages that the farmers cannot recoup. They are, instead, opting to sell farms that they’ve held for over 50 years. Thank you again, I’m sure we’ll be able to use this to inform our communications going forward. This is absolutely how we try to break it down for the community. Making it relative to them has made it easier for us to have these conversations as a whole community and not a few individuals who are easier to dismiss. An update, there is a draft water harvesting regulation that places a lot of responsibility on dam owners and operator to ensure the safety of communities living down stream as well as regular maintenance of dams. I’ll post the regulations once they’re passed. I’ve added a.few comments to the regulations regarding public consultation and elements of FPIC especially where these dams might interfere with natural water courses. Hi, thanks very much for sharing this news. Could you please share the draft if you have a copy? a good regulation on dam operations is missing in many parts of the world.